Aren’t rollaway beds the best thing since sliced cheese. Unless your a big and heavy person and weigh over 250 pounds. 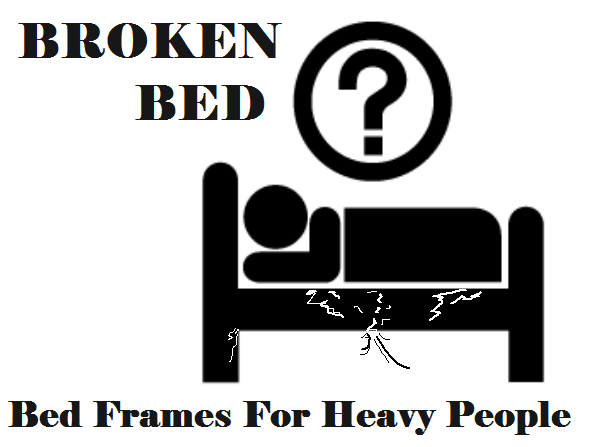 Finding suitable heavy duty rollaway beds for heavy people can be a nightmare. Most of these cots on wheels are either not wide enough or have a weight capacity simply not high enough for a heavier person. Even if you’re not overweight but have larger guests coming over for the holidays, you will still need to find a heavy duty rollaway cot. It’s not worth risking it on a sub 250 pound capacity bed. Sure your guests may survive the night, but after longer periods of time the foundation will simply give way. Or the bars bend and springs snap causing the canvas to tear. Not only will your guests be upset, but you will too as you would have wasted a bunch of money on a rollaway cot that’s now rendered useless. But fear not, I have come to save you the heartache. Below you can find a handful of rollaway cots for heavy people with weights capacities from 320 lbs to 500 lbs. These are all built heavy duty so that they can support the extra weight without buckling. However, trying to find a queen size rollaway or anything bigger than a twin XL is quite the mission. So if you do manage to find one, please let me know in the comments below. This would be particularly handy for when couples stay the night whether they are big or not. 6 Which Rollaway Is Best For You? For the average height (5’9″) male, it’s considered obese if you way more than 203 pounds, which I find simply ridiculous. So is this roll away bed good for obese people?. Considering it has a 500 pound weight capacity and the only rollaway that I could find with a 500 lb capacity, I would say absolutely. But it’s more than just a rollaway bed for obese people. It’s luxurious!. This bed has features I have not seen on other rollaways before and I must say I’m impressed. To start with, most rollaways have the caster wheels in the center of the bed, which does make moving it more difficult once it’s unfolded. But on this cot the caster wheels are on the two ends. So instead of just 4 wheels, you get 8. This makes it super easy to move the bed around on the floor once it is unfolded. The frame of the roll away is also quite thick and heavy duty. Its also been reinforced with stabilizer bars, giving it the real heavy duty appeal. But the feature I love the most about the frame is that it comes with handles/armrests. These steel bed rails are off center so that when you get out of bed you can pull yourself up. Now as a big person myself, this feature is a godsend. Getting out of bed is always a struggle and having these handles helps a lot. Most rollaway beds you simply lay on and sleep. But not with this one, you can raise the back section of the bed from 0° to 80°. This allows you to sit up and read a book, watch TV etc. Just a little extra you don’t get from other rollaway beds. In terms of size, I would have like it to be wider. 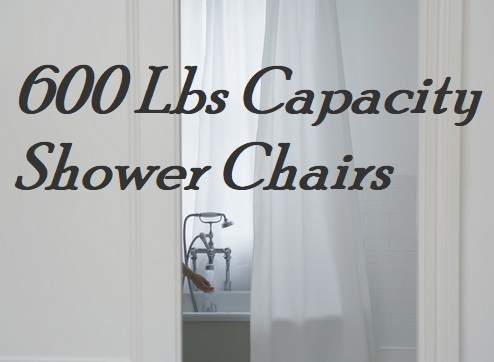 But in saying that there’s not much available in the 500 pound capacity range. The frame itself is 32 inches wide while the mattress is half an inch shorter. The length of the bed frame is 75 inches but the mattress is slightly longer (78.7″) so tall people can have their feet overhang more. The bed also comes with a pillow and dust cover to protect the mattress when folded away. The casters all have locks so the bed doesn’t slide around during the night and the feet come with non slip pads so the legs don’t damage the floor. Overall this rollaway is a high quality and heavy duty bed for someone that needs the high weight capacity. While the above rollaway has a higher weight capacity, it lacks a bit in width. This premium line of rollaway by Milliard has an extra 6 inches of width, totaling 38″ wide by 75″ in length. The height of the bed is also not too bad considering its a folding rolling bed. With the mattress on top, it measures 16 inches from floor to top. So not too low that a bigger person cant pull themselves up. The reasonably high weight capacity of 400 pounds is backed up by double reinforced stabilizers on the base of the steel tubed frame. So it’s quite a stable and sturdy portable bed. As a child I used to love laying on the trampoline in the backyard, I just found it so comfortable and supportive. This rollaway by Milliard uses the same trampoline design as the foundation for the mattress. But making it even more comfortable is the 2.5 pound rated memory foam mattress. This is smack bang in the middle of firm and soft in terms of density. So you get a nice supportive mattress which isn’t too hard, yet soft enough to doze off in no time. It’s easy design combined with simple caster wheel assembly completes this rollaway. I love everything about this rollaway, the fact it’s a little wider yet still doesn’t have an annoying center support bar digging into your back. The trampoline base with memory foam mattress is the true winner for me. It’s just too comfortable and makes getting out of bed all that much more difficult, as in you don’t want to get out!. I do wish this bed also had bed rails like the above rollaway. But like I said, that is the only rollaway I have seen with bed rails before so I can’t be too picky. Similar design to the above Milliard, this 400 pound capacity rollaway folding bed is by ‘Layout’. Said to be one of if not the most comfortable folding bed on wheels you can buy. This again is due to the solid poly tarp trampoline style base finished with a memory foam mattress. However this rolling bed is not as wide as the above Milliard. Perhaps better suited to the overweight people around the 250 lbs to 300 lbs depending on your body width. As this rollaway has a width of 31.5″. The full metal frame is also double reinforced to give it that heavy duty rating. Around the edges of the poly tarp are 32 metal springs which provide you with that supportive trampoline feel. The 4 inch thick memory foam mattress does the rest. The mattress also comes with a cover to protect it from sweat, dirt etc. The rollaway can easily be folded up when not in use. The 360° caster wheels make for simple transportation over any household surface. The buckle which simply clicks in holds the mattress and frame together in storage. For long term storage the legs can be folded up to provide a more compact design. Blantex make this 375 pound capacity rollaway bed and if you have never heard of Blantex before, they make some of the most durable and heavy duty folding beds, cots and sleeping equipment for relief workers and the military. However in terms of being a good guest bed for large people, I would pay serious attention to the width of this bed. Its only 30 inches wide so it may not be suitable for very larger people. Even with the 375 pound weight capacity. The bed is also slightly shorter coming in at 72 inches long. So not ideal for tall people either. But if your under 6 foot tall and don’t have a huge build, you will appreciate the sturdiness and strength the 20 gauge steel frame offers. 20 gauge steel is quite thick as these measurements usually run from 1 gauge to 30 gauge. In the picture it appears as tho the rollaway doesn’t have caster wheels. But the Blantex does in fact have wheels as you can see in the above smaller image. Overall the Blantex is a good solid little bed. But I wouldn’t recommend this rollaway for obese people as the size of the bed is simply too small. The last option for heavy duty rollaways is this 320 pound rated bed by Mecor. Again it’s not a very wide bed coming in at only 31 inches. But for us overweight people we don’t have a great deal of options available to us. The Mecor folding bed on wheels is similar to the Milliard except it has a lower weight capacity. It’s 75 inches long and as I just mentioned 31 inches wide. However this one sits 2 inches lower to the ground with a total height of 14 inches. So this could be a deal breaker for people with bad backs, the elderly and beer bellies as it’s harder to get up from lower heights. I fall into 2 of those 3 categories and know just how hard it is to stand from low to ground chairs. So keep this in mind. The steel tubing on the Mecor does look very solid, so the 320 pound capacity does ring true to me. The base frame is also reinforced to give it that extra strength while also giving the frame a longer lifespan. On top of the breathable mesh base is a 3 inch thick memory foam mattress. 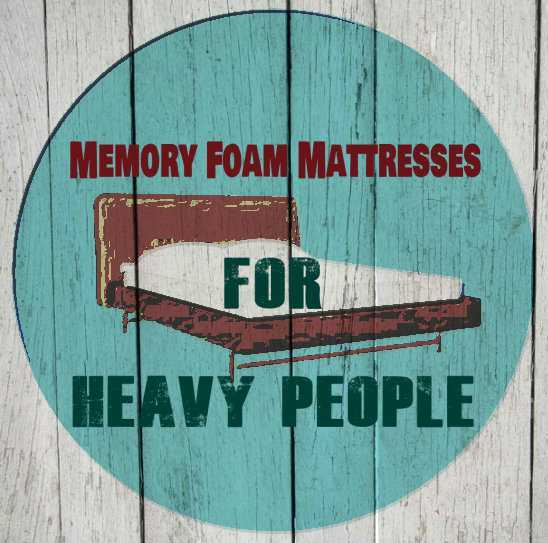 While it’s not the thickest memory foam mattress you can buy, the fact its on a spring loaded mesh base means you will still find it quite comfortable and supportive. But in saying that, most folding beds only have a 3 inch thick mattress anyway. If you fall under the 320 pound weight capacity and can handle a 31 inch wide temporary bed, then give the Mecor a shot. It’s a quality rollaway with a decent weight rating. I just wish it was 10 or so inches wider. Which Rollaway Is Best For You? If features and functionality like a reclining back rest and bed rails suit you, then go fo the 500 pound capacity rollaway. But if you need a wider rollaway which still has a decent 400 pound capacity, I would suggest the Milliard Rollaway. It would be my go to choice unless you weight more than 400 pounds.